Blaize Community Arts » Some colourful photos of our project! Some colourful photos of our project! We wanted to say a HUGE thank you to everyone involved in Dance Across the North. Just like we promised we would, we started with a house concert in Otley, before moving on to flashmobs, house concerts and live performances throughout the north of England including North Lincolnshire, Lancashire, Cheshire, West Cumbria, Cumbria, East Riding and York. We worked in small venues including village halls and local schools, we even danced around peoples’ living room floors. We’ve danced in shopping centres, market squares and through almost every nook and cranny we could find in rural ‘hard to reach’ areas. The result was some intimate performances which have delighted both the artists and audiences involved. We’ve reached old and young, men and women, boys and girls and we’ve LOVED it. Not one show has been the same. 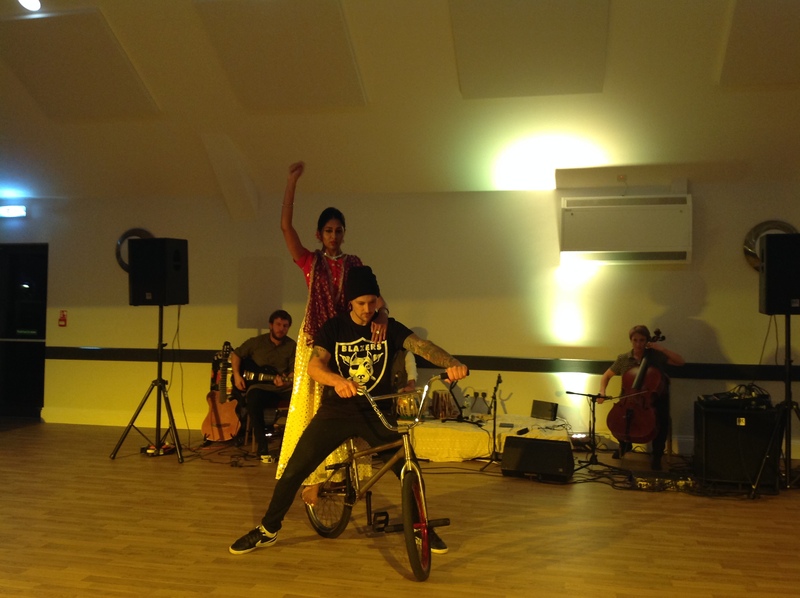 We’ve enjoyed BMX dance, Dance with food, Dance with martial arts, Dance with Art, Traditional Indian Dance, Contemporary Dance, Venetian Ballroom Dance. You name it! We’ve done it. So now we want to thank all the people who made it happen. First off – the amazing Balbir Singh Dance Company whose vision made the entire year’s touring fun, engaging and a joy for all concerned. Dancers, workshop leaders, children, older people, dance lovers, those new to dance and audiences throughout the north were blown away by the project. All of Balbir’s team worked hard to ensure every town or village involved enjoyed world-class performances. Gail Ferrin from Get Moving and our Paula J Horton did a splendid job of organising workshops and flashmobs complete with t-shirts, post cards, bags and yes flashy lights! We aim to please. Our partners across the north of England have been amazing, helping to publicise and promote the project. 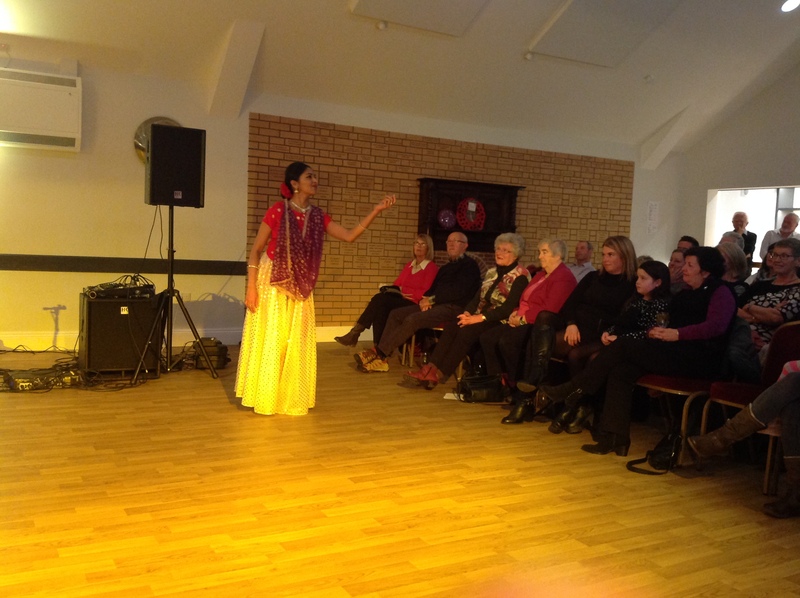 They include Spot On Rural Touring in Lancashire, ArtERY Live in East Riding, LiveLincs in North Lincolnshire, Cheshire Rural Touring Arts, Highlights Rural Touring in Cumbria, Northumberland and Durham, Arts Out West in West Cumbria. Thanks also to The National Rural Touring Forum (NRTF) for their support and of course to ACE for funding. We want to thank all the musicians involved in the project as well as the freelance dancers – and of course YOU our audience for supporting us!